MOSCOW, September 8 (RIA Novosti) – Syrian rebel groups with links to Al-Qaeda have reportedly seized a Christian village northeast of Damascus. Maaloula, a mountain village of 2,000, is one of the few places in the world where Aramaic, an ancient Semitic language spoken by Jesus and his disciples, is still spoken. Two rebel groups moved into the village late Saturday after heavy fighting with government forces loyal to President Bashar Assad, the Associated Press quoted the Syrian Observatory for Human Rights as saying. It said one of the groups is Jabhat al-Nusra, the Al-Nusra Front, an Al-Qaeda associate that has been effectively operating in Syria for the past two years drawing on foreign fighters with combat experience in Iraq and other war zones. A Maaloula villager told AP that the rebels attacked Christian houses and churches after entering the village. The Syrian state-run SANA news agency claimed, however, that government forces “inflicted heavy losses” among rebel groups, and state-run TV reported that all Christian churches in the village were safe, AP said. Christians make up about 10 percent of Syria’s population of 22 million. International aid groups say Syrian Christians are often targeted for suspected sympathies to Assad’s regime. 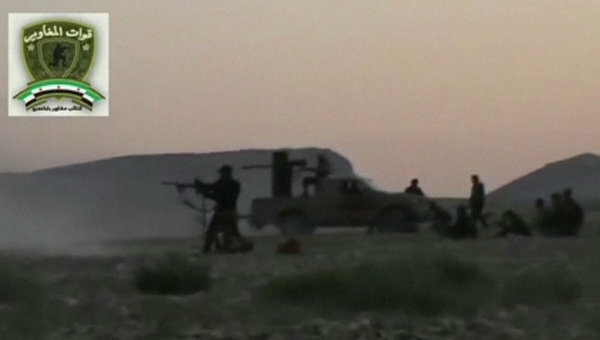 The civil conflict in Syria has claimed more than 100,000 lives since March 2011, the United Nations said.